Caring for patients, not just smiles. Dr. Burds has known he wanted to be a dentist since elementary school. His father had inconsistent dental care growing up on a farm in northeast Iowa. After landing a job with a telephone company that carried dental insurance, Dr. Burds’ father found a dentist who helped him save his teeth. Upon realizing the benefits of regular dental care and a healthy mouth, his father began to speak highly of their family dentist–comments that left a mark on an impressionable young boy. As his interest in math and science grew, so did Dr. Burds’ aspiration to become a dentist. After graduating from Hempstead High School (Dubuque, Iowa), Dr. Burds went on to attend the University of Iowa and earned a degree in Biochemistry. This foundation led him to the University of Iowa-College of Dentistry, where he received his Doctorate of Dental Surgery in 2001. His professional affiliations include membership in the American Dental Association, the Academy of General Dentistry, the American Academy of Dental Sleep Medicine, the G.V. Black Study Club, and the Spear Study Club. Dr. Burds served as president of the Iowa Academy of General Dentistry from 2005 to 2006. He became a Master in the Academy of General Dentistry in 2018-a milestone that requires over 1,100 hours of continuing education. Dr. Burds strongly believes in helping the less fortunate members of his community. He has been a Donated Dental Services volunteer since 2005. To give back to his community, Dr. Burds has volunteered with the Smile Squad and Donated Dental Services. Outside of dentistry, Dr. Burds’ favorite activity is spending time with his wife, Colin, and their four children. His other interests include coaching youth basketball, cycling, skiing, gardening, and watching his children in their activities. 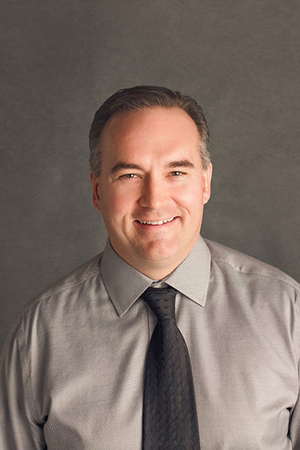 Dr. Burds has been a lifelong fan of the Iowa Hawkeyes, the Chicago Cubs, and the Green Bay Packers. Although family and dentistry keep him busy, he manages to find rare free time to catch his favorite team on television or at Kinnick, Wrigley, or Lambeau! Dr. Dahlberg received his Doctor of Dental Surgery from the University of Iowa in 1984. He joined our practice as an Associate Dentist in 2019. He loves the opportunity to help our diverse and amazing patients obtain healthier smiles. When not in the office, he enjoys doing anything outdoor related. Karen joined our practice in 1995. 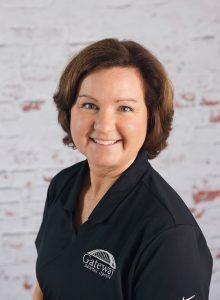 With over 20 years of experience estimating dental benefits and filing dental insurance claims, she has become an invaluable resource to our patients. Karen assists in making financial arrangements so that dental care can fit into many different budgets. She takes pride in knowing all of our patients, and is the first friendly smile that greets our guests. Karen is married and has two adult daughters. In her spare time, she enjoys reading, bicycling, watching movies, and spending time with her four grandchildren. 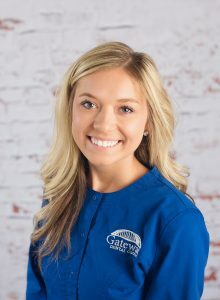 Mallorie joined our practice in 2014 and has been a dental assistant since 2008. She is a graduate of Kirkwood Community College and is certified with the Dental Assisting National Board. Mallorie has fulfilled the requirements for Level 1 Expanded Functions with the Iowa Board of Dental Examiners. Her favorite part of her job is helping give patients a smile they can be proud of. Spending time with family and friends is near and dear to Mallorie. She and her husband enjoy traveling with their daughter to see loved ones. Mallorie has given back to her community through volunteer opportunities at the Iowa Mission of Mercy, Meals from the Heartland, and the Youth Emergency Services and Shelter. Lauren joined our practice in 2017. She began as a dental assistant trainee and now is a registered dental assistant. Lauren loves working in the dental field, and is considering a career as a dental hygienist. She is a great listener and enjoys getting to know her patients and making them feel comfortable. Martha earned her Associate Degree from Vatterott College in 2008. She joined our team in 2019. She loves the opportunity to help society by improving oral health, and getting to know her patients and their stories. When not in the office, she volunteers at her daughter’s school library. Her hobbies include watching movies, traveling, spending time with friends and family, and visiting her home country of Kenya. Iris joined our practice in 2007. She briefly lived in South Carolina, where she earned her Associate in Applied Science degree in Dental Hygiene. 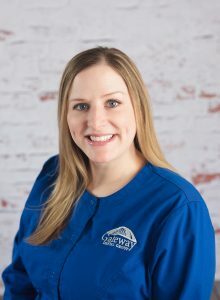 Following graduation, she and her husband moved back to Des Moines and she soon began working at Gateway Dental Group. Iris has also earned her permit in Local Anesthesia. She has terrific rapport with her patients, makes them feel comfortable and is excellent at earning their trust. When she is not at work, Iris enjoys spending time with her husband and two boys. She enjoys a good book and frequently volunteers at her boys’ school. 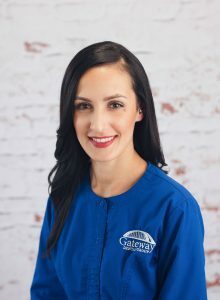 Ashley joined Gateway Dental Group in 2010. She earned her Associate in Applied Science degree in Dental Hygiene from Des Moines Area Community College. Ashley also has a permit in Local Anesthesia. She has an outgoing personality and loves getting to know her patients and their families. Her patients appreciate how much she cares about their health. Outside the office, Ashley enjoys camping and crafting. She and her husband stay plenty busy with their twin daughters and younger son. Ines joined our practice in 2014. She earned her Associate in Applied Science degree in Dental Hygiene from Des Moines Area Community College. Ines also has a permit in Local Anesthesia. She loves it when her patients are open and honest with her about their oral hygiene habits. Ines is sincere, caring, detail oriented, and enjoys seeing her patients get healthier. Therese graduated from Des Moines Area Community College with a degree in Dental Hygiene in 1999. She joined our practice in 2019. She enjoys meeting new people and helping them understand the importance of a healthy smile. Therese looks forward to getting to know her patients personally and creating real friendships. Her hobbies including learning Spanish, walking her dog, yoga, traveling, and spending time with family and friends. 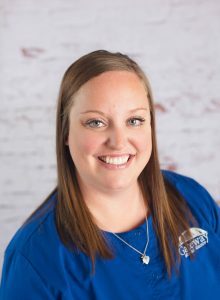 After graduating from Des Moines Area Community College with a degree in Dental Hygiene in 2003, Krystal joined our team in 2019. She enjoys being able to work with people of all ages, from 3 to 100, and learning about each person’s individual life experience. 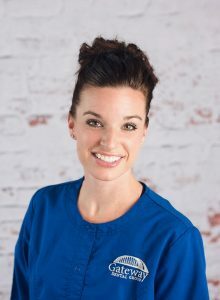 Krystal looks forward to helping her patients appreciate how a clean mouth feels and understand how oral health impacts overall wellness. When not in the office, she volunteers her time with Rally 4 Ross (#rally4ross) and supports Children’s Cancer Connection. Her hobbies include cycling, reading, yoga, hiking (preferably in Colorado), spending time with friends and family, and supporting her children’s activities. Megan graduated from the University of Iowa with a Bachelor of Arts in Communication Studies in 1993. She joined our team in 2019 and feels extremely fortunate to be surrounded by caring, fun, and outstanding team members. Megan looks forward to building relationships with our patients. Her hobbies include traveling with her husband and three children, running with her dog, cooking, doing puzzles, and volunteering with her church or her daughter’s school. Kristen is a graduate of Urbandale High School (class of ’09) and joined our team in 2019. Kristen loves the chance to interact with and learn more about our patients, getting to know them on a personal level. She also looks forward to working with our wonderful team members. Kristen’s hobbies include concerts, playing and watching sports, camping, visiting breweries and wineries, bike riding, and rollerblading. Dr. Burds proudly provides personalized, high-quality dental care to patients throughout Des Moines and all neighboring communities. For more information, or to schedule a consultation with Dr. Stephen J. Burds, call Gateway Dental Group in downtown Des Moines, IA, today at (515) 244-9565. We also proudly serve patients from West Des Moines, Ankeny, Urbandale, Johnston, and all surrounding communities.